What would happen if the Killers, Franz Ferdinand and contagious sound decided to team up and make a band together? Probably the result would be something like Remodel. With a sound that may remember to a Ferdinand style with a little touch of The Killers, La Belle Dame Sans Merci is a single which shows a contagius sound that mixed with a post-punk sound, with a little pop sound. Remodel were one of the most innovative and exciting bands on the circuit until recently. They had Intentist sympathies and worked with the arts movement in an art exhibition, an album launch and an album cover. 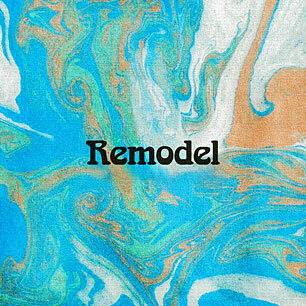 This week Intentism will celebrate the band known as Remodel with examples of their music, lyrics and artwork.